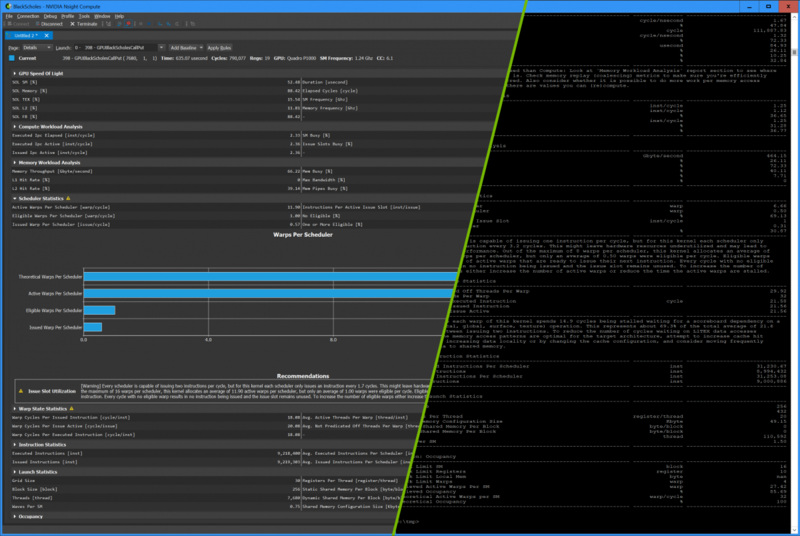 NVIDIA® Nsight™ Compute is an interactive kernel profiler for CUDA applications. It provides detailed performance metrics and API debugging via a user interface and command line tool. In addition, its baseline feature allows users to compare results within the tool. 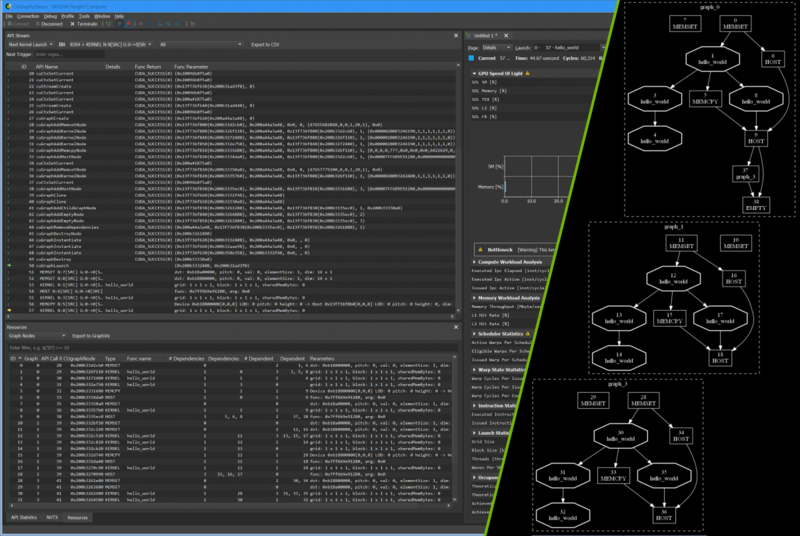 Nsight Compute provides a customizable and data-driven user interface and metric collection and can be extended with analysis scripts for post-processing results.